Quality lies at the heart of all that HTMi does. It is an essential part of the Vision and Mission statements, and of our goal as stated in our strategic vision. We aim for a comprehensive and complete Quality cycle that is a part of all that we do. Each person who is a part of the team that constitutes HTMi is an important and committed part of the quality control process..
HTMi’s curriculum and academic standards are developed to mirror Swiss, UK and International equivalents at Undergraduate and Postgraduate level. 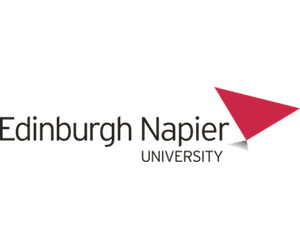 Our programmes are designed to ensure they meet the learning outcomes of our BSc (Hons) International Hospitality Management validated and awarded by Ulster University and our MSc Hospitality and Tourism Management validated and awarded by Edinburgh Napier University. The review and evaluation process for our programmes consist of annual reviews by the Business Schools of our University partners plus HTMi draws on advice from our HILAB members, External Examiners and the Academic Advisor. A vital part of the quality process are the external quality control of the programmes offered at HTMi and the Institute itself. Due to the nature of the programmes, being conducted in Switzerland with UK degrees at Bachelor and Masters level then external quality controls are exercised through Swiss, and UK bodies. In Switzerland HTMi is accredited as a Higher Education institution by the Swiss Association for Quality and Management Systems (SQS) through its educational division EduQua. This accreditation is renewed every three years with an annual review and visit by the EduQua auditors. HTMi is accredited by the British Accreditation Council (BAC) as an independent Higher Education institution The BAC is a full member of the European Quality Assurance Agency (ENQA). A further part of the quality process is that HTMi has an independent External Examiner for its sub-degree and postgraduate programmes, who has both extensive international experience and familiarity with UK and International Quality Assurance. The External Examiner routinely attends each semester’s exam board and monitors all assessments and samples of graded work. 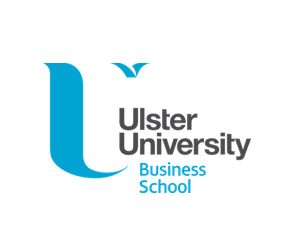 The appointed external examiner from the Ulster University also attends all BSc (Hons) examination boards and reviews assessments, coursework, and module handbooks and reviews the moderation process as part of his responsibilities. An important part of the quality assurance processes in relation to the modules being taught is the feedback from students. HTMi has in place a system of internal teaching reviews that elicit anonymous responses from students on the satisfaction with each module being delivered. The results are used to provide feedback and guidance to the teaching team in the form of a formal report. The report provides the teaching staff with feedback to enable them to reflect and improve their performance. The analysis also provides the Academic Director with hard evidence to support, counsel and where appropriate set targets with staff to secure improvements. In addition, the Institute operates a number of internal committees including the Course Committee, the Student-Staff Course Committee and the Student Representative Committee (SRC).